There are cover versions, and then there are Cover Versions. Whilst it maybe a bit harsh comparing pointless album filler by Rod Stewart with a career book-ending and definitive version of Nine Inch Nails "Hurt" by Johnny Cash, it serves to make my point. Too many times cover versions are simply karaoke for musicians. It has been said before by many people more qualified than I that a cover version cannot simply be a retread of the original, it has to bring something new to the table. For example Alabama 3's version of "Hotel California" is significantly different than the original, and emphasises the darkness of the song in a way the highly polished Eagles version doesn't. Is it a better version? Overall I think not, but I enjoy them both. Anyway, on to the main point of this post. I'm a huge fan of The Who's 1971 rock masterpiece, "Who's Next". 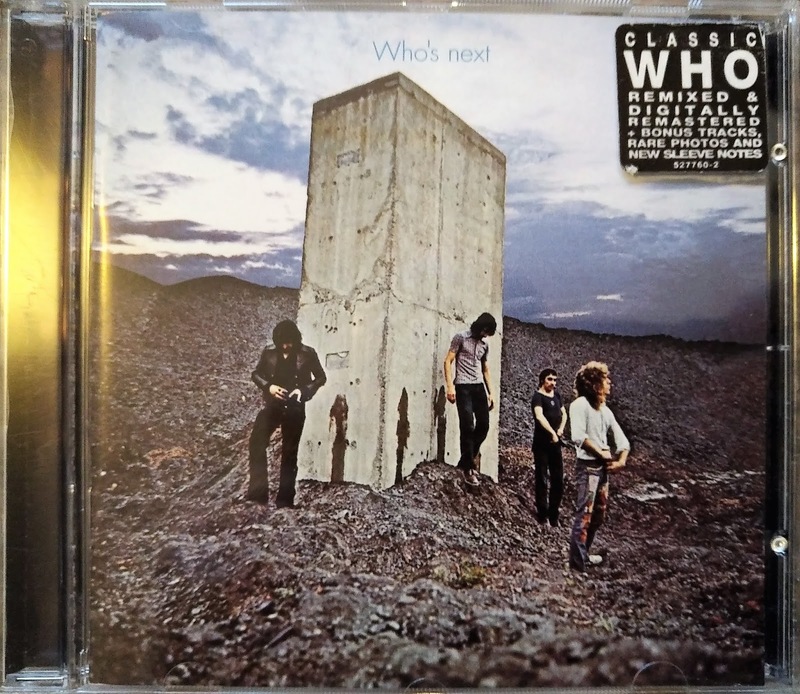 From opening with the innovative and instant classic "Baba O'Riley" to the final crash of one of the all time great rock songs, "Won't Get Fooled Again", it stands as one of the finest rock albums of all time. My favourite track is the penultimate song, "Behind Blue Eyes". Whilst the original here is superb, I've often thought when Roger Daltrey's vocal tone changes at 1:24, how good would this be with Metallica's James Hetfield on vocals? Metallica does "Behind Blue Eyes"? Yes please.